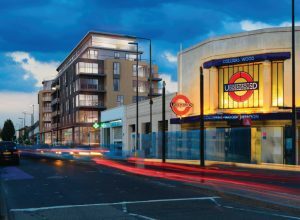 Are you located in Colliers Wood? Do you own a small business or just starting up? Miranda Management and Accountancy Services are one of the best Accountancy firms in Colliers Wood. Our accountants in Colliers Wood, London would understand your business needs. They will help you to achieve your business objectives. Our auditors will take care of all your accounting needs. If you are an entrepreneur, you do your business peacefully. You take care of your Marketing, Branding, and Operational activities. And let us allow taking care of your finances. We have a team of best accountants in Colliers Wood. They are specialized in Taxation, Bookkeeping, Mortgage Planning, Investments, Budgeting, forecasting and so on. Our objective is to maintain long term relationship with our clients. We believe in mutual growth. As you grow we grow. That’s why we always give our best to deliver the accurate solution for your business. Our professionals are working day and night to help you. They are available for 24/7. Whenever you need them they are just one call away. If you are searching for the best accountants in Colliers Wood, then without thinking twice just call us. We will be there at your place whenever you need us. Or you can come down anytime at our office to meet us.